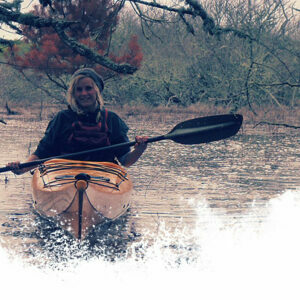 This Level 4 Advanced Sea Kayak Course is ideally suited to people who have completed one of our intermediate kayak courses or already have a good amount of experience in a kayak and are comfortable paddling in rougher sea conditions (force 4+). 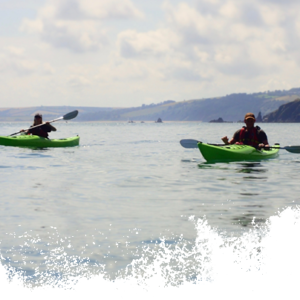 There is a huge amount of truly inspirational sea kayaking on offer in Devon, and we will plan trips that will take us through this spectacular environment developing your kayak skills as we paddle. With lots of advanced kayak tuition, we will help you build on the skills you already have and grow your confidence in a sea kayak. to pass the advanced course with flying colours. We keep group sizes small so that you get lots of personal attention and advanced sea kayak coaching from your instructor. 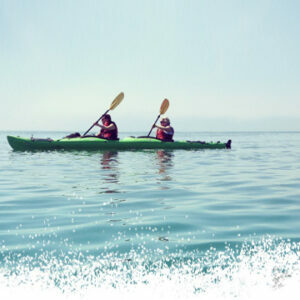 We take you to some exciting and challenging places where you can test your existing kayak skills and learn new techniques to help you deal with the ever changing ocean environment; always under the watchful eyes of our experienced sea kayak instructors. *Min of 2, Max of 6. 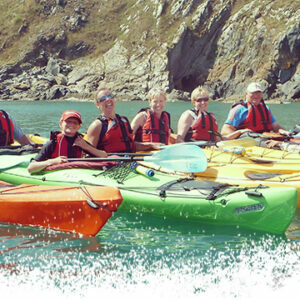 Get in touch (01392 580535 / info@seakayakdevon.co.uk) if you are on your own or have a larger group.